What a beautiful bread and it looks delicious as well. I know I don’t have any spiced run and may not have any regular rum in my cupboard, either. Can we substitute water or maybe some other liquid in it’s place?! I make an Egg Nog Bread with liquid egg nog not powdered and I don’t use pudding in it. Mine comes out yummie. I make it from the time the egg nog comes out in the stores. I am so confused….does THIS recipe call for “powdered” egg nog? Can you post your recipe plz? Can you post a printable recipe please? I love eggnog and I want to make this a yearly tradition. The recipe she used is liquid eggnog too. Pati Johnson Rhea. I was reading this recipe and saw your name. I am from Nebraska and their are not many of us Rhea’s here. I do think we are all related though. I have a book that was printed in 1969 with the Rhea history. Most Rheas are in Texas and Virginia from what I remember in the book as it has been years since I read it. So nice to meet you! Not a Rhea. My first name is Robin though. Sorry to disappoint. Ribin, I came across your recipe and I added it to my list of goodies to make for Christmas for all my family and friends. I just have one question as I’m kind of new to the whole baking world. Once the mixture is ready to be poured into the mini loaf pans, how many cups of mixture go into each one and prevent over flowing? Hi Becki! I always fill my baking vessels about 3/4 of the way to leave enough “rising” room not to overflow. Fearful? Always go with less instead of more. With wrapping them individually for gifts, size wouldn’t be that important. The mixture will be ready to ladle into your baking pans or whatever you’re using. Good luck and please feel free to email any questions at robin@kneadtocook.com. The alcohol cooks out, just leaving the flavor. Could you please clarify the yield of this delicous recipe?? How many 9 x 5 loaves does this make, since I dn’t have mini loaf pans. How many muffins? And are they cooked for the same time?? I get SO dang nervous when I make a new recipe LOL I think this recipe will be the perfect gift for my apartment neighbors, my postal worker and close friends. Thanks for sharing the recipe. I got about 3 dozen mini muffins from my batch. For me, the regular loaf comes out fine, but i think the appearance of the bread itself is better when the loaves stay smaller, like the mini loaves or the muffins. In order to bake the full sized loaf all the way through, the bread is in the oven for a long time and the outside got almost overdone, and browner than I personally think it should be. My results were dramatically better with the smaller loaves. I have been baking this medium loaf pans. when i notice the tops getting a nice brown, i cover them with foil so the middle can cook more without the tops burning. I freeze all my sweet breads and they are just great unthawed. This looks so good I’ll be trying it out this weekend ! WHAT CAN I USE FOR A SUBSTITTE INSTEAD OF RUM IN THIS RECIPE BECAUSE MY DAUGHTER REALLY LOVES EGG NOG. I found your recipe on Facebook from Tea Paparazzo. This is such a wonderful recipe…can’t wait to give it a try. i would like to share this with my Bloggers & YouTubers. These could be package in an array of Christmas themed ideas. There rum flavoring you may be able use that instead. Like vanilla, mint extracts. Rum also has an flavoring we use it in our family to flavor the egg nog for the people how can’t have the real stuff but want the flavor. The rum extract will give you the flavoring, but you should add another liquid in place of the rum, you would only want about 1/4 to 1/2 t. of rum flavoring. Rum extract, sold in the supermarket baking aisle, will have the flavoring but not the alcohol. ??? no alcohol ??? Most extracts ARE in an alcohol base. Just like the alcohol (liquor) you’d use for drinks, the alcohol in extracts will evaporate during the cooking process (99% of it) or over time. It’s not about the alcohol; it’s about whether you want to spend the money buying a bottle of spiced rum or simply use an extract. I bought a bottle shot of Kraken Spiced Rum. $1.99. Worked for me since I don’t bake often enough to buy the extract….and it was cheaper than the extract. 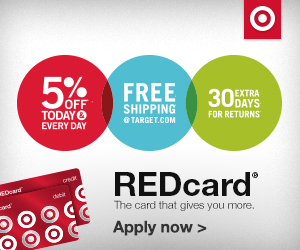 Can you send this to my email, I love egg nog, this will be great for my church members, friends thanks for it. Yummy. This is a wounderful thing for a gift. Actually, Lactaid makes a dair free eggnog that tastes exactly like the real thing (My husband is lactose intolerant and loves egg nog). Also, I would like to point out this recipe is DELISH! I wrote down the ingredients to do my shopping and confused recipes once I got there so I ended up buying Cheesecake flavored jello and it turned out REALLY good. i made a mini loaf and 12 individual “cupcakes” out of this recipe. This looks delicious! Just to clarify, is it the small box of instant pudding? Thanks! The only 3.4 oz pkg I could find was not instant…would this work. Sounds so delicious I can’t wait to try it out. Hi Robin! This is a great recipe. I will be making a vegan version and just need to know the amount of dry pudding mix that is in the package that you are using? Thanks! 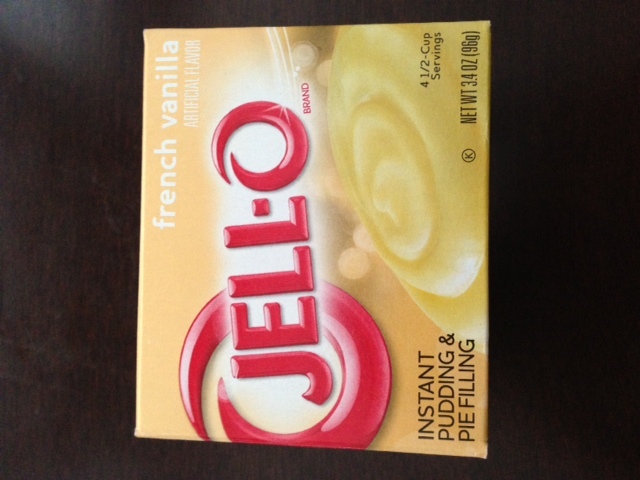 My small box of Jello french vanilla pudding is 3.4 ounces. I just made 40 loaves of this this weekend and that was the size I used and they turned out beautifully. I will post the pic of the box I used for reference. Do you think maybe you used the cook and serve variety instead of the instant? I will definitely try this recipe! Thanks for sharing it! There is a brand of eggnog available in the supermarket here in NJ, which is delicious and would be perfect for this. And it comes in different flavors, (like caramel and pumpkin!) which might make it even MORE interesting! (the brand is called Hood). I wanted to know about the glaze…does it harden enough so as not to be messy when you put the loaves in the cellophane bags? Can’t wait to try this! I just bought the cutest mini loaf pans at Michaels the other day. They are paper/cardboard but def made for the oven and will make great gifts. Love sweet bread recipes. Thanks for sharing! Where did you find paper baking pans? I am intrigued by that! So much easier to wrap and all! Can hardly wait to get to baking! These are wonderful, thank you for the recipe! I was wondering though, what are the dimensions of the clear bags that you use? I tried some paper loaf pans last night. Not a fan! they didn’t hold the shape in the middle so the loaf was fat in the middle. (it bulged out) At least that was my experience. I was so disappointed because they were very cute! I ruined 6 loaves…. plus they weren’t inexpensive. The unopened packages are going back to the store! Sheri, I always have used smaller loaf pans (4 in one pan) that I found at Walmart and believe it was by Wilton. Works perfectly every time. Happy holidays. Any idea what flours you could use for those who do Gluten Free? Looks delicious! Can’t wait to try it. For those not wanting to use real Rum, there is a rum extract. Maybe use 1/4 – 1/2 teaspoon. This recipe looks awesome and would make a great gift for coworkers!! Can you clarify on the amount of vanilla for the bread portion of the recipe? It says “t of vanilla extract” (with lower case “t”) so I assumed it was teaspoon but it spelled out “tsp” for others. Just double checking so that I don’t mess up the flavor. This sounds wonderful! What type of rum did you use? Thanks, I hope you enjoy it as much as I do! These look YUMMY AMAZING!!!! I was wondering if the “spiced rum” in the ingredients is rum extract? If not, would that work instead and would I add more…and my rum extract isn’t “spiced”…so what spice addition would you suggest? Thanks! 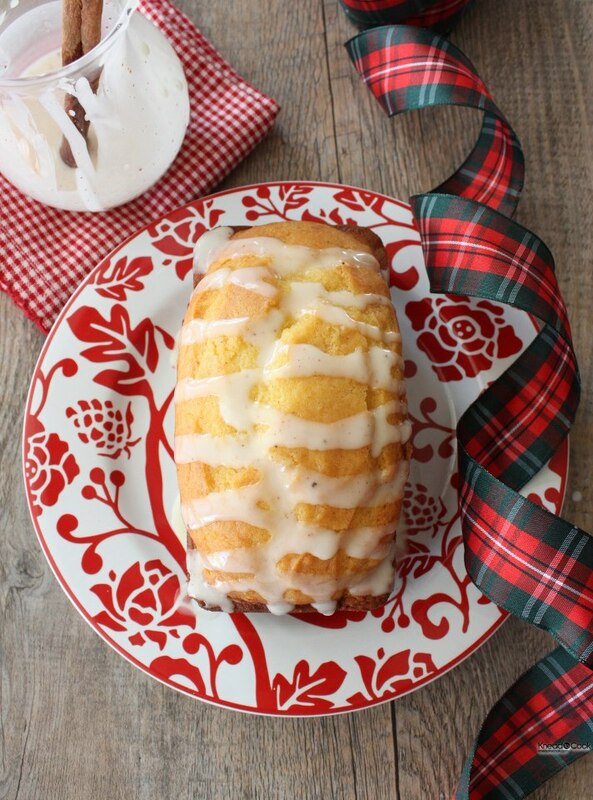 ( : I can’t WAIT to add this to our traditional Christmas Brunch plate of nut breads! YUM! This is the glaze recipe I use and it will set up hard enough after drying to put the bread into bags. Whisk together to combine ingredients. May add a bit more egg nog for consistency. (* I like it at Elmers Glue thickness, between a glaze and frosting) Drizzle away! Thanks! I was hoping that was the size. I have them down to what would be a cupcake qty of dough for the grandkids and two sizes in between. Will definitely give this recipe a try. It’s the powered pudding mix that you can find at most grocery stores. 3.4 ounces by Jello I believe. Hello !!! 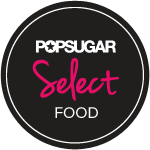 Could you be more specific about which pudding mix and the exact grams or ounces per package that you use? I would rather use exactly what you use, it will save me from wondering if I got it right. Many thanks !!! These look fantastic…will definitely make! 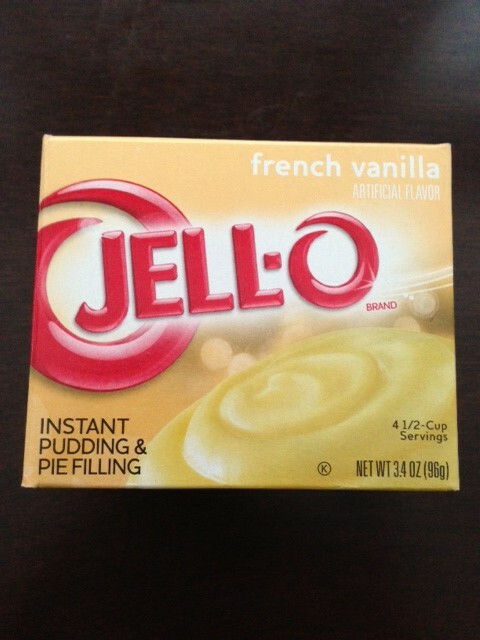 Wondering about the french vanilla pudding…can I just use regular vanilla pudding mix? Use that if you can’t find the other. 🙂 Enjoy!! Do you think Gran Marnier would work in place of the rum? If you used Amaretto or Grand Marnier would you suggest still using vanilla extract or would you use almond? Thanks in advance. Im going to make this for neighbors- what size pudding does this recipe call for?? Yes! I love that you added rum, can’t wait to try this 🙂 and enjoy a little holiday buzz from eating the batter ha! Ha ha… you sound like me! Love you girlie! And, of course, Watson too! I was wondering how much rum extract we would use if substituting the spiced rum? You know I believe this would be a trial and error type thing. I would start with 2 tsp. This is absolutely heavenly! I made this for my husband and I while we were decorating for the holiday today! Going to make for our neighbors and share the goodness! 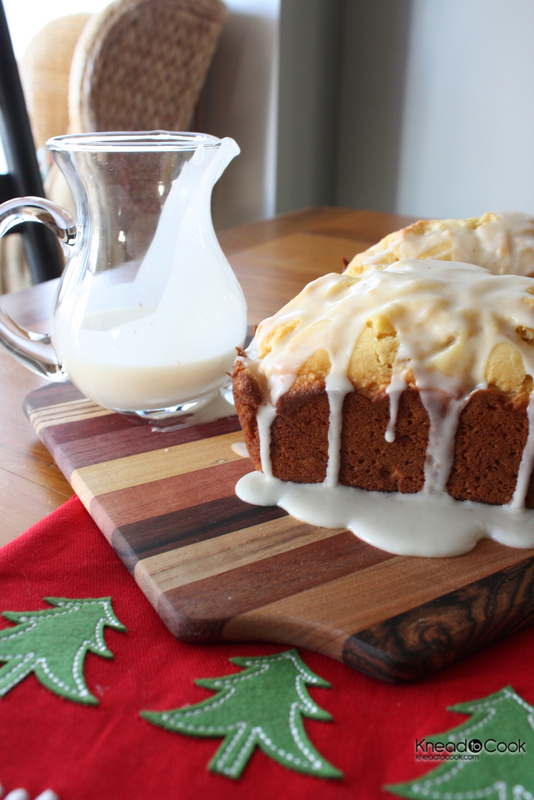 this recipe looks delicious … who doesn’t love egg nog?! could you please email this recipe to me? I wanted to make something yummy for my coworkers, and I think this is the perfect idea! Can I used another extract instead of rum since some of my coworkers will not want it in their loaf? I can’t wait to make some! Sure! Orange or just vanilla would be lovely too! Merry Christmas! Thank you for Sharing you wonderful Recipes! Do you think rum extract would work? Or do you think it would give it a fakeish flavoring? I’m going to tried this tomorrow looks so yummy and I bet it taste good too !!!! And also can you send me this recipe to my email plz!!! 🙂 have a beautiful holidays !!!!! This looks AMAZING!! On my to-do list (I’m vegan but I think I can veganize this!). I’ve already made two batches. It is absolutely delicious. Thank you so much for sharing this recipe. I made a regular size loaf and a smaller loaf instead of one large loaf, knowing I would end up sharing. Everybody loved it! YAY!!!!! So happy you love it as much as we do! Looks wonderful! I’m certainly going to give this a try! My only question is if you use regular or unsalted butter? Thanks for sharing! This was wonderful! Thanks so much for sharing! Just made this bread to use up leftover egg nog. This recipe is delicious wish would made for guests at Christmas. Did not have rum so skipped it. Back on Nov 26 I asked you for the baking time for a regular loaf since I don’t have mini loaf pans. You replied and told me that you would try a regular loaf and muffin tins to get the correct baking times. I have scrolled all of the ostings and have nt found your answer. Terri, I’m so sorry! 350 temp. for 45-50 minutes. I would keep a watchful eye on it from 30 minutes on. If you notice that the edges are getting a bit brown, cover the edges with foil to allow the interior to bake. I hope this helps. Muffins, I would think, because I haven’t done it, 20-25 minutes but again, start watching around 18 minutes. Give or take a few minutes. Yeah…If there is one thing I hate it’s getting excited about a recipe and then it doesn’t work out. I followed the recipe exactly, and used a regular loaf tin. By the time the dough in the middle was cooked, the outside was burnt. So, I would suggest DO NOT use this recipe if you are going to just use a regular loaf pan. Chris, I’m sorry to hear that. I have made it several times in a regular loaf pan and it turned out fine. Everyone’s oven temperatures vary so you may wish to lower the temp. a bit and if you notice the top getting too brown, cover it with foil so the interior has time to cook. See if that helps. Am wondering the brand of spiced rum you use. Would you please email this fab recipe to me so I can share it with my daughters. Thank you and Merry Christmas. This recipe looks amazing. And I’m reading the comments and have to give you props for your kindness and patience. Just one question, do you have any idea if this would work out well in a bundt pan? If you haven’t tried that, no worries, I can always give it a shot and just keep an eye on the oven but thinking it might look nice in bundt shape. Thanks! Regular size so assuming the same 350 degrees and be watchful around the 30 minute mark would apply? Hi, Robin & Naomi: tonight was my first try of this wonderful recipe. Decided to use a Bundt pan. It has turned out beautifully. Baked it at 325 for about 50 minutes & has a beautiful golden brown color. Am waiting for it to thoroughly cool to drizzle the glaze on it. Can hardly wait to try it- have to wait until tomorrow. :-(( I also used a multi-grain all purpose flour & light Bacardi rum. Robin, thank you for this recipe. It goes in my “arsenal” of Thanksgiving & Christmas Goodies recipes. Perfect and I can’t wait to hear what you think after you try it! Merry Christmas! I haven’t done it that way. I do one batch at a time, I know slow and annoying but so many times I double recipes and they don’t taste right to me. Sorry I’m not more help! Awesome recipe!!!!!! My husband devour it. Will definitely make it again , thank you so much for the recipe. One thing, where can I find the clear wrapping? 🙂 You totally made me smile! Merry Christmas! I found mine at Target but Home Goods, Michaels etc. have them. These look great! Can you please tell me where to buy the clear bread bags? Does AC Moore or Michaels sell them? Lori, I’ll have my IT guy look at it. You can omit photos etc. before printing in the selection box. I don’t have a mixer with paddles. Can I use a regular hand mixer or mix it by hand? Hi! I can’t wait to try this recipe…sounds yummy! Where do you buy your cellophane bags to put them in for gifts? Thanks! Do we need to refrigerate loaves after putting on the glaze due to the eggnog? Making these as teacher gifts on Sunday and won’t deliver until Wednesday! Thoughts, please?? I was wondering what the consistency of the batter should be? Mine was very thick and sticky, to where I had to spoon it into the loaf pans. The eggnog I used is a very thick eggnog, not sure if that played a part? The final product turned out pretty good, but a little dense. I did have to adjust it for high altitude. Although, I am guessing I might have over mixed it causing it to be dense (but that should not have caused the batter to be SO thick). Thanks! The batter is very thick. Altitude adjustments may be required. But the bread will bake up perfectly! Can talk…heading to the kitchen right now to try this!! Thanks! Finally, someone else making mini-muffins! Do you recall about how long it took? Thanks! I made loaves. I would start with 14-18 minutes. Thank you so much for sharing this recipe. I was looking for an egg nog recipe for my little pans to give as gifts, and now I have found one. I probably just missed it, but how many mini loaves does this recipe yield? Thanks again and Merry Christmas!! Loved this recipe! Thank you so much. One question we had, I noticed my bread was really heavy and thick. Is there a way to lighten this up a bit? 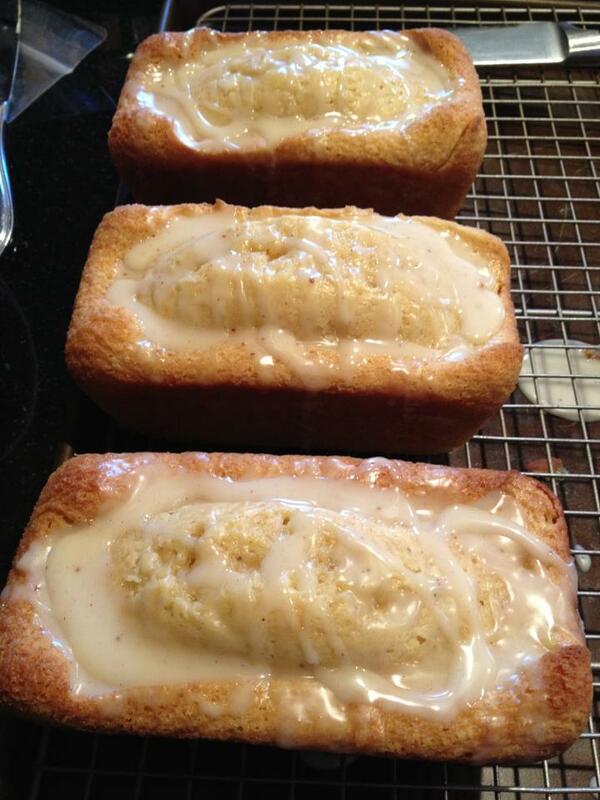 I am using all the same ingredients you used and using the mini loaf pans from Wilton. Thanks so much for any advice? Wanted something different to give friends for Christmas gift, made eggnog bread great gift and for the Holidays for family. Thanks for posting recipe. Are you sure the amounts for the glaze are correct? There wasn’t near enough liquid to mix with the amount of powdered sugar. I checked and re-checked what I had used. I added a small amount of water and an extra splash of egg nog. It was too nasty to use and I had to throw it out. I’ll just have to eat the bread without the glaze. The amounts are exact and I’ve used this recipe what seems to be a million times. You can always add a splash more rum if needed but yes, this is correct. Also, make sure you are sifting your 1 cup of confectioner’s sugar. I did it today, it’s a perfect mix of liquids. It will initially seem like it’s not enough…..powdered sugar can take a minute of stirring to absorb the liquids. And powdered sugar icing is incredibly forgiving….if it’s too thick, you can add more liquid (pretty much anything) and if it’s too thin, just add more sugar. Exactly! 🙂 Happy New Year! Aside from using orange juice as a substitute for the Rum, are there any other non-alcoholic substitutes you would recommend? I would like to make many loaves with varied glazes. Thanks for the delicious recipe!! Lemon, Meyer Lemon, Orange come to mind…. thinking mango might be fun too! Found this on Pinterest and made today. I started with a loaf and I’m not sure if I accidentally used too much egg nog, but it took close to an hour and a half to cook through. Luckily, it didn’t burn and was still AMAZING. My egg-nog-hating fiance LOVED it and has eaten almost half the loaf! I am so looking forward to making this later today. Your recipe is very precise and clear to me……I have read it over several times to be sure. Thanks for your patience and kindness to all of the comments! Merry Christmas to you and your family! Gonna make this tonight with my family….really excited! God bless you and Merry Christmas! Thank you for sharing!!! How long do you leave the loaf in the pan to cool before turning it out on to the rack or do you turn it out as soon as you pull from oven? I normally let it go till it’s cool to the touch. What happens when you use low fat egg nog? This looks delicious however, it just seems to have way too much sugar, What can I substitute the glaze with? You can omit the glaze to use less sugar or use less glaze on the bread. I make 4 mini loaves with one batch. I’m not sure April. I made 40 loaves this year and didn’t have a problem. I’m so sorry… It’s hard for me to tell without being there with you. For the record, cook and serve pudding worked. It is delicious..its even moist! I used regular loaf pans, and mine have been in the over for over an hour and a half. The edges are starting to burn, and the middle is still a soupy mess. I’ve never had this happen with a quick bread before, and I’m starting to worry about bringing these for Xmas Eve dinner 🙁 Wish I’d tried this recipe ahead of time. Merissa, I’ve only made this recipe in muffin or mini loaf versions. You can always cover the edges with foil to protect them while they cook. Hope this helps. Hi. 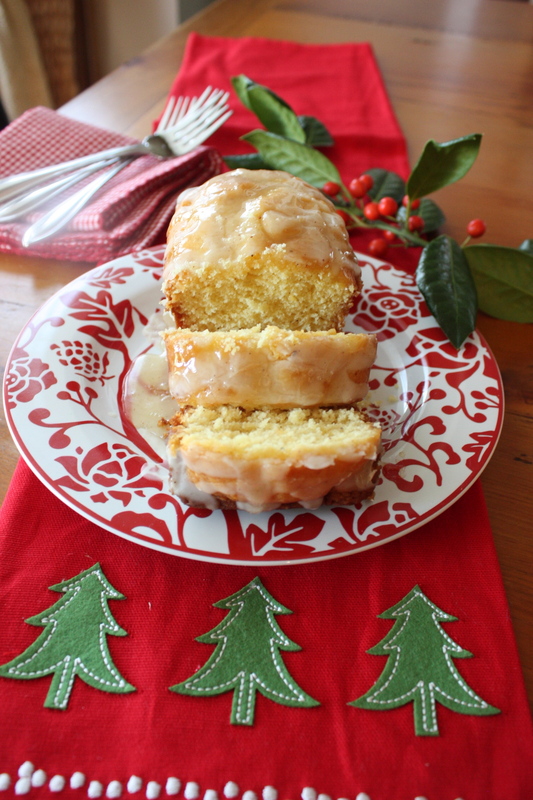 I just made your eggnog bread and it is so good! Thanks for the recipe. Found it on Pinterest. I would recommend making mini loaves or muffins- I made a regular loaf and it took a long time for the bread to get done in the middle. By the time the middle was done, the outside was burnt. But that doesn’t stop me from eating it (I just cut off the crust)! Leigh, I do make mini loaves with it for gift giving. If making a regular loaf, cover the edges with foil to protect them from burning. Thanks for stopping by! A Great Big THANK you for this recipe. I am a non lover of egg nog cannot stand the smell nor the Taste. I just got done making my 8 th loaf of this bread. By far the BEST bread I have ever made of any kind. Family was requesting orders. And then of course I would have to steal some more for myself. I would highly recommend this to anyone. Eggnog lovers or not!!!!! Wendy! Thank you my sweet for the glowing recommendation. I’m totally with you… not a fan of eggnog but love the bread! Would love to try this recipe but cannot get eggnog here in Spain. The consistency of homemade eggnog is very different from store-bought from what I remember so not sure if it would be a suitable substitute. Would appreciate your opinions/suggestions. Thanks. Oh boy Lesley, That’s a hard one. I’m afraid anything else wouldn’t lend the right flavor (buttermilk etc). Let me think about it. I’m wanting to make this and mail it to someone. My concern is the eggnog in the glaze. Wouldn’t it spoil? Can it be omitted? I wouldn’t think so if you were shipping 2-3 day. We leave it out under our cake dome for a few days while everyone eats it and it’s fine. Hi! I absolutely love this recipe! Last Christmas I made it multiple times for various gifts and parties. In particular I made a loaf for a friend who brought it along to a family gathering. It’s now July and her family is requesting I make more! I was wondering if you have a suggestion for making the bread out of egg nog season? Is there some way I could mimick the flavor? 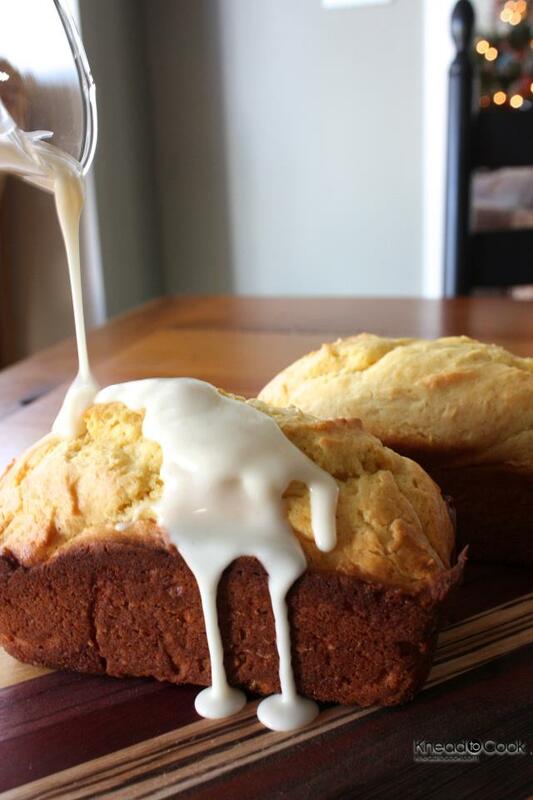 If not, do you have or know of another rum cake/bread recipe I could send them? You know Beth, my grocery stores still sell egg nog in the dairy case. I only make it during the holiday but I also believe that there is an egg nog extract or flavoring you can use however I haven’t used it. Oh my goodness!!! We’re only at the end of July and I am already looking forward to making this! It looks ah-mazing! I’m going to purchase mini loaf pans for the occasion. Did you bake all 4 mini loafs in the oven at the same time or 2 at a time. Looking forward to your response! Have a great day! Xoxo! This will be such a treat for the holidays! Can’t wait to try it! It is by far the best recipe! How did you get the heart INSIDE the loaf!? Are you referring to another recipe? I would assume she cut it out with a mini cookie cutter after she made the slice for the photo, or at least that is how I would get there. I’m not a big fan of eggnog but love custard, can I substitute? This looks yummy! Me ha encantado!! me llevo la receta con tu permiso. This recipe looks amazing. I am definitely going to add it to this years holiday baking line up! I live in the Bay Area and think this recipe will deserve Bud’s Egg Nog for sure! 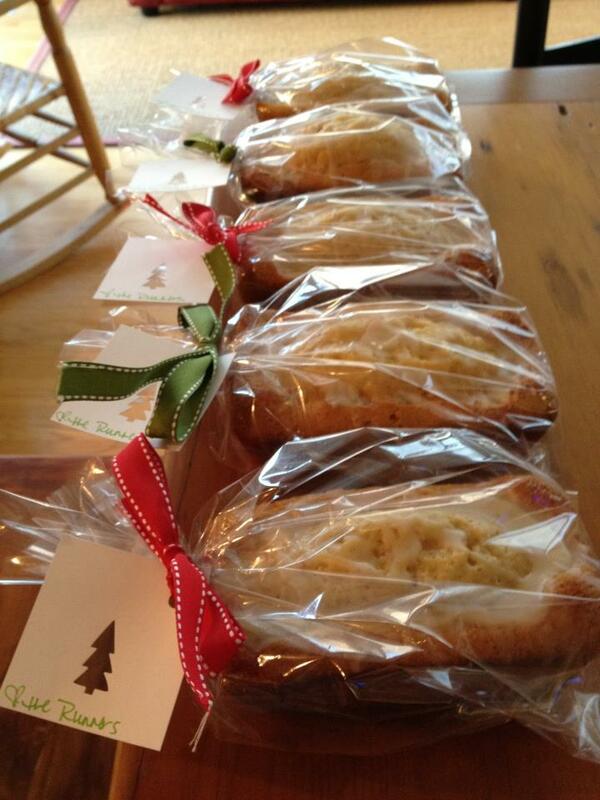 Victoria, It is the most popular holiday recipe I have in my arsenal of goodies. I hope you try it and love it as much as we do! Hi, thanks for sharing. This looks great! I’d like to add these to Christmas baskets I’m making this year, but I’m wondering if there is egg nog in the glaze, do they need to be refrigerated? I’m planning on giving some to coworkers and don’t want to end up w ten baskets in the lounge fridge. Thanks! I can imagine! Thank you! I have four loaves in the oven right now and they look and smell amazing! I’m going to mail a couple to my daughter for her birthday this week since she loves eggnog! Do I have to wait for the loaves to completely cool before I glaze them? Not sure i can wait that ling for a taste test! Hi there, this recipe looks AMAZING (so does the final product!!).. I was wondering if its still possible to make this recipe with homemade eggnog, instead of the store bought stuff? The reason I ask is because I’m living in Ireland, and I have never been able to get eggnog over here. Would it alter the recipe do you think, because I know the the store bought eggnog has thickeners and stabilizers in them that home made stuff obviously wouldn’t…. Thanks for your thoughts and for sharing this amazing recipe!!! cool! fingers crossed it turns out well! Sharon, Are you having trouble sending it from my website? I found this recipe on Pinterest and it is delicious! I want to make more for Christmas but my mom has gluten allergy, so is there a different type of flour I could use instead to make it gluten free? Ex: rice flour or something? I have just read through ALL of the comments….might I say that you so very patient!! The batter has an almost LEMONY flavor – has anyone else noticed that? It’s a very light taste considering egg nog is usually the “lightness” kiss of death. I love it just the way it is! Perfect! Thank you! I want to thank you very, very much for this incredible recipe. I am a big fan of all your recipes and I want to sincerely thank you for all you share with us. Yum, can’t wait to make these. Do you have any suggestions for high altitude baking? I live in Nevada at 4700′ elevation. Bread just came out of oven; looks great! Question: since using eggnog for icing does this need to be refrigerated (the bread)? I know the recipe says regular eggnog but I only have Market Pantry light eggnog. What do you think will happen if I use light instead? I never used light in the recipe so I’m not sure. Definitely worth a shot! Oh how awesome! Thank you! Will be sharing that on my FB page for sure 🙂 Merry Christmas! Hi! I do a lot if baking , but have never used loaf pans- mini or regular. Could you please provide the measurements of the different sizes of loaf pans so I purchase the correct (mini) size pans? Thanks so much. Can hardly wait to try this . . . Soon!!! 3.5x5x2 inches deep is my Wilton pan. 4 loaves per pan. Hope this helps. Hi! Would this be successful using an Ultragrain Blend All Purpose Unbleached Flour? A friend uses this flour in all her baked goods since it is a whole grain flour with white flour appeal- the brand is “All Natural Ultragrain Blend” by ConAgraMills. Hi, just made these in mini pans. 350 for 30 minutes. Middle seems a little loose but sides are perfect. Is it supposed to be like that due to the butter? I would hate to overbake! No, a toothpick inserted should come out clean. Bake for an additional few minutes. If you’re concerned about the edges, cover with foil. Everyone’s ovens are so different and cook at different temperatures unfortunately. The smallest (8″x3 3/4″x 2 3/8″) loaf pan I could find. Will this work? Same oven temp? Baking time should be . . . ?? Hi! Am so anxious to make this! I’ll be using a regular Bundt pan though. Will one recipe be enough for the Bundt pan? Plan on baking it at 325 degrees since my Bundt pan has a dark interior. You may need to watch baking time because of the dark interior. It should work in a bundt pan perfectly. Merry Christmas! I love this bread, I shared the recipe with many of my friends and some I made it for them and they loved it!!! My only problem is the oven time, I even bought a oven thermometer and my bread still needs to cook longer than 30 min for the mini loaf, I have to cook it for 50 min on 350. I appreciate your advice with using aluminum foil so my side don’t burn! Again thanks for sharing the recipe!! I just made this (my parents are coming over for dinner and it sounded like the perfect cake!) and if the cake is as amazingly delicious as the batter was (I swear, I only had.. okay, I ate a lot of the batter before I could restrain myself) then I think I’ve just found a new holiday classic! Thanks so much for sharing this! LOVE you Ivana!!!!! Your post totally made me smile. Happy New Year my friend! I’m going to say first of all that I am definitely trying this again. I made 4 mini loaves, baked them 10 min. longer and they totally collapsed after they had been out of the oven. The middle was gooey and the only part I could salvage was the very top, which was starting to burn. I’ve baked a lot with this oven and can’t figure out what happened. Even the very bottom was gooey. I double checked the oven temp too. It’s not like I’ve never baked before at 60+ yrs old!! The top tasted wonderful so I know I will try again, but think I’ll try a regular bread pan or the bundt pan that someone suggested. PamelaDee, I’m sorry that you had bad luck with this recipe. I would check the freshness of your ingredients. I’ve baked over 100 loaves and never had an issue. Hmmmm… Can’t think of what else it can be. I just tried this amazing recipe this morning and it is definitely a keeper. Our family loves egg nog and I was using up that left after the holidays. I can see I’ll have to keep some in the freezer to use during the year. I had no rum and in the icing I substituted orange juice. Just skipped it in the recipe for the bread. Does this need to be refrigerated? I ask because I would love to make and ship them for Christmas. Debbie I never did because it’s devoured instantly. I have given as a gift and never had issues not refrigerating. Always a hit! I’m trying to find the 288 comments, but can’t….where are they? With the WordPress upgrade some comments disappeared. My IT guy is working on it. Sorry. THANK YOU. ..THANK YOU ROBIN! Go look at a mirror Robin and bIow yourself a kiss ! 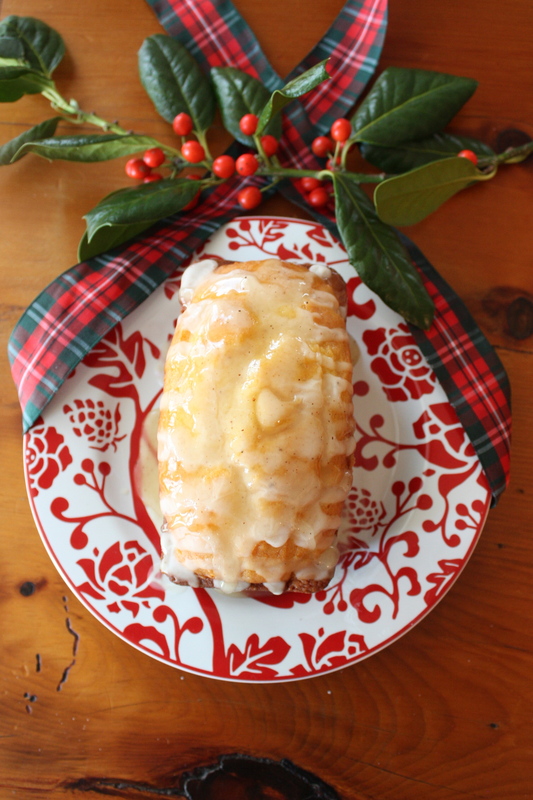 Another delicious recipe for the holidays, and so simple! I was going to substitute the rum.. I was wondering if you think this would work in a bread machine? Cant find the recipe for this. I made the eggnog bread in a bundt pan and it was the perfect amount. I baked it for 50 minutes and it turned out beautiful and delicious!! Just found you but will be a loyal follower! this is wonderful, made them this morning and can’t stop eating it! 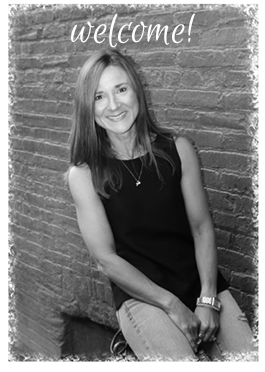 Will be sharing your recipe on my blog along with a link to your site…. I would like to make this bread, but I was wondering what are the dimensions of each of the mini loaf pans that you used? I make it in a loaf pan 6x3x2. The Wilton pan comes with 4 loaf wells in a pan if that helps. 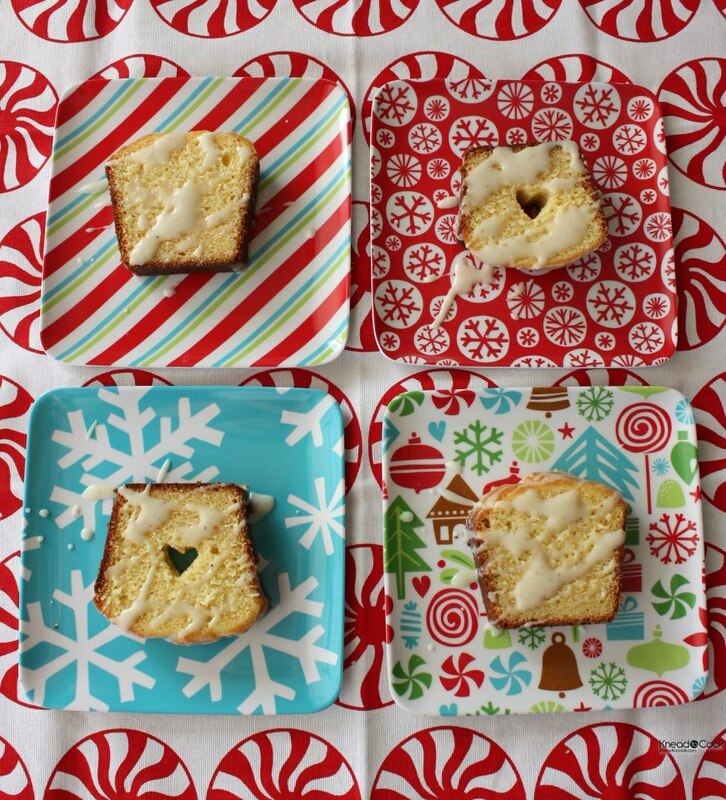 I just made two batches to give out as gifts, and let me tell you…this recipe is fabulous! The glaze is such a nice touch, but honestly the bread could be eaten without it, it’s that good. 😉 With 2 days left until I’m due to have my little one, I’m afraid these might not make it out the door to their recipients. Hah. Thank you pintrest for leading me here, and thank you Robin for this wonderful recipe!! This was amazing! First off really easy to make and second, third and fourth…..delicious! There are no words! I used the disposable 8×2.5×2 pans and filled them a little less than half and ended up getting 2 and a half loaves…but then I couldn’t just have a half batter loaf…..so I made another batch and had a total of 5 loaves! Magnifico! To heck with Christmas cookies! Quick question how did you store them? How much do you fill the mini loaf pans? About half way? I’m only getting about 3 mini loaf pans but maybe I’m filling them too much? I know this post is 2 years old by now but.. thank you, thank you, THANK YOU for this recipe!! What a delicious holiday bread. This will be a Christmas morning staple in my family for years to come. Once Upon A Chef, you rock. Tried this recipe today. The loaves turned out delicious but the process was messy. As the butter melted in the mix when the loaves were in the oven, the butter poured over the mini loaf pan edges and burned on the bottom of the oven creating smoke for most of the baking time. Next time I will melt the butter completely for the batter before it goes in the oven. Try to not overfill the pans. I typically fill only 3/4 or less filled with the batter to avoid overflowing while baking. Thanks for the comment. Merry Christmas. Sounds so yummy! Does it need to be refrigerated after baked? I haven’t but I normally never have leftovers. Thinking of trying this as a vegan recipe. Stay tuned. Good luck! In the Rum Glaze ingredients, it says “2 tbl Spiced Rum”. Is that supposed to be tsp or tbsp.? tablespoons 🙂 Working on a vegan version of this as we speak. So excited!! I saw you said if you didnt want to use alcohol to use juice. What kind of juice would you use? My husband is allergic to any kind of alcohol (which i know does burn off sometimes with cooking but i dont want to chance it) so using juice is the only option. We all love eggnog ( i make eggnog pie every year). Just tried this after it popped up on my FB feed. Turned out great! I made 8 mini loaves, glazed them and sliced them for a tea. Everyone really enjoyed them. Will be doing up another batch for Christmas gifts! So happy to hear Catherine. I’ve been working on a vegan option too that turned out great. Will be sharing that soon. Happy holidays! I was wondering if you have posted your vegan version of the recipe yet? I’m going to make the original recipe for myself but I have a daughter & niece who are both allergic to many foods so have switched to a vegan diet as it seems to work the best for them. 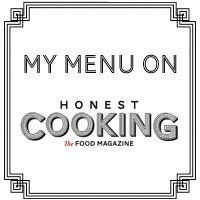 I haven’t had a chance to look through your site to see if the recipe is there but if you could send me the link I would greatly appreciate it. Thanks & sooo looking forward to trying both recipes. Got you covered! Here is the link. Ok after scrolling through the comments I didn’t see what I was looking for. The eggnog I have is Pennsylvania Dutch which is 14.75 % alcohol (has rum, brandy, and blended whiskey in it). Is this the type of eggnog you are using or you using the nonalcoholic kind in the dairy section? Would hate to know I made this and the whole family gets drunk at Christmas dinner. 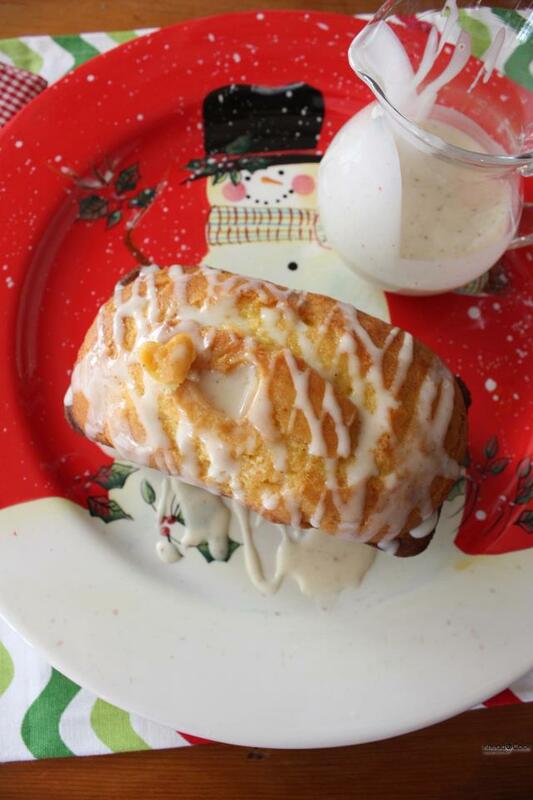 Does the eggnog glaze stay wet? If so, how do you wrap the loaves. Can this be printed off? I didn’t see a print button. 🙂 glad I can help! Hi! I love nothing more than trying new recipes, I can’t wait to try it. As was just wondering beside the spiced rum what other rum or alcohol would you suggest. Thanks in advance ! Substitute equal amount of liquid. Rum (light or dark) – Water, white grape juice, pineapple juice, apple juice or apple cider, or syrup flavored with almond extract. Substitute equal amounts of liquid. Sherry or Bourbon – Orange or pineapple juices, peach syrup, or non-alcoholic vanilla extract. Im from NZ and eggnog isn’t very common, therefore you can’t buy premade eggnog. If I make the liquid from scratch that will suffice? 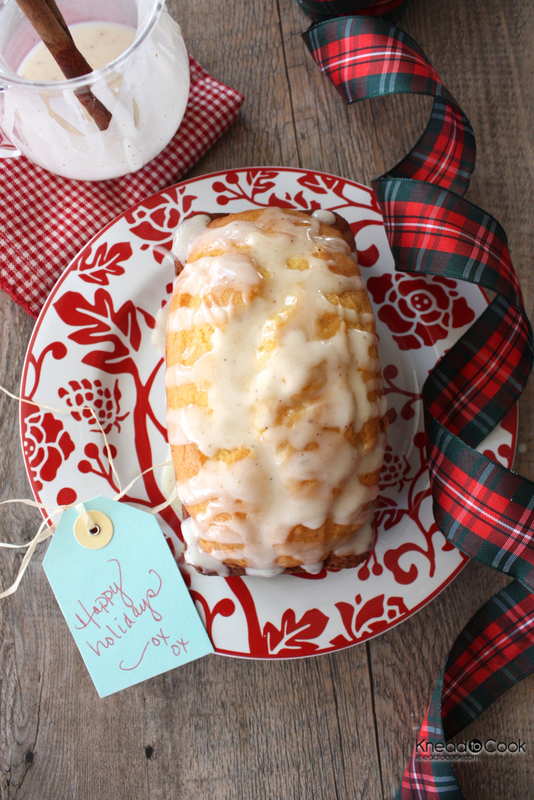 Thanks for finally writing about >Eggnog Bread with Rum Glaze.